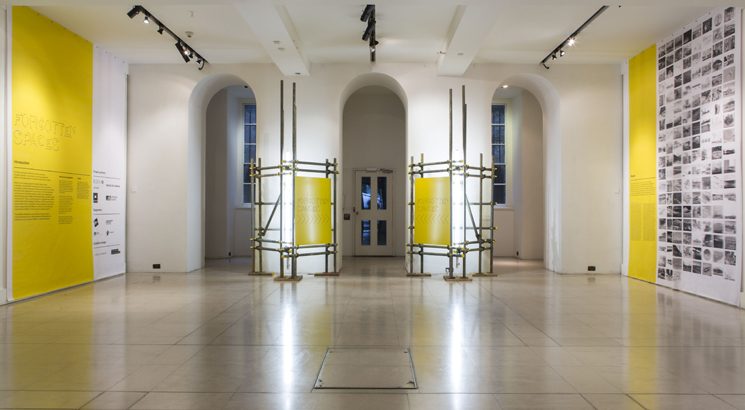 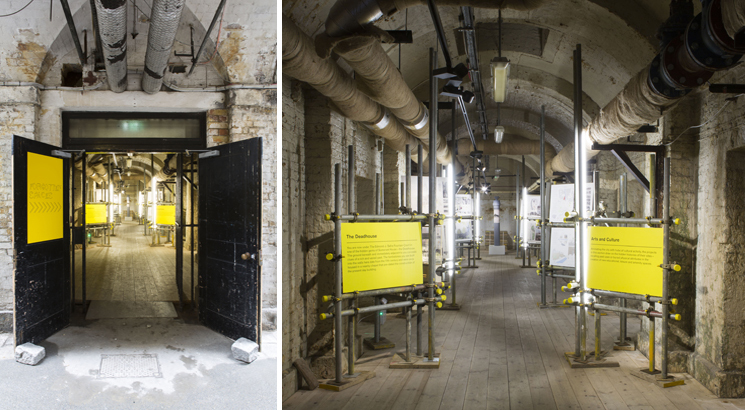 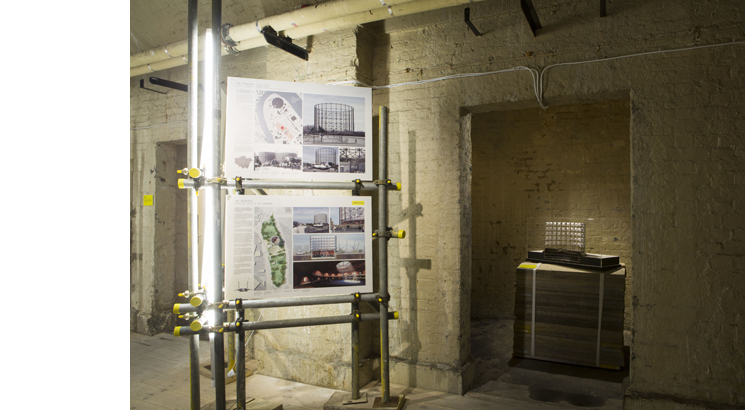 Studio Glowacka and Tho­mas.Matthews have designed the exhibition and graphics for the RIBA Forgotten Spaces exhibition, which opened in October at Somerset House. 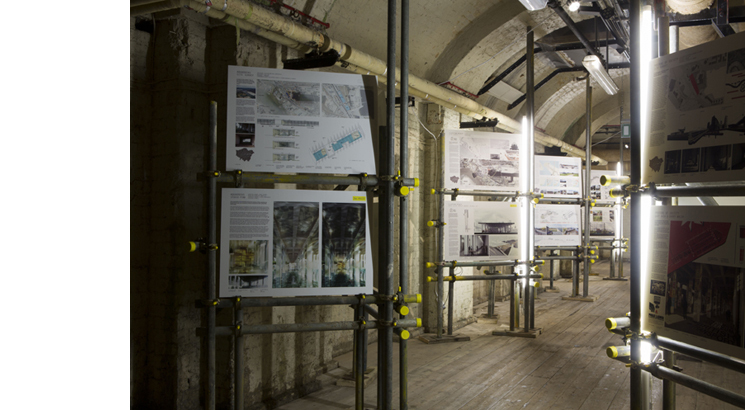 The exhibition showcases the results of the Forgotten Spaces Competition, a positive and joyful celebration of how great ideas could bring about the physical rejuvenation and reinvention of spaces that may otherwise continue to be overlooked. 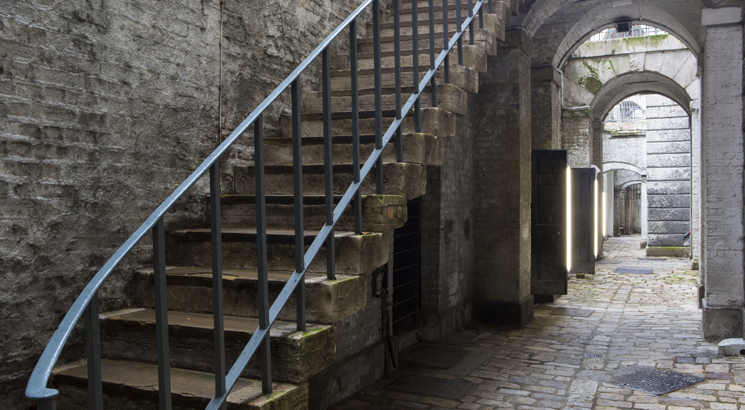 The competition is about potential and transition between the ‘forgotten’ and the ‘remembered’, the ‘reinvented’ and the ‘developed’. 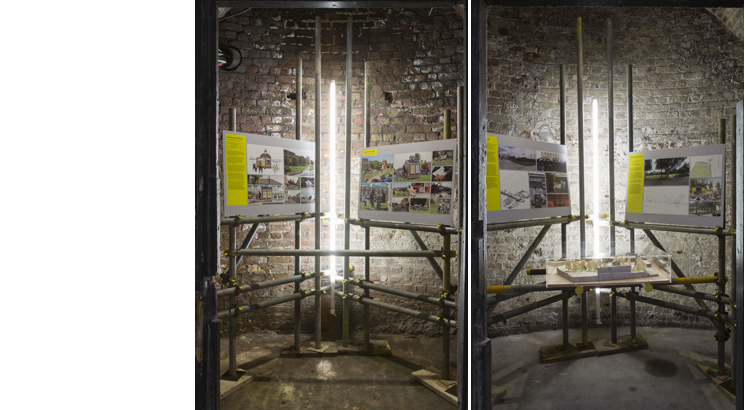 The exhibition design and graphics resonate with these ideas, drawing inspiration from the construction phase of a development project where the temporary enabling works are the transition between the empty site and the physical reality of the project. 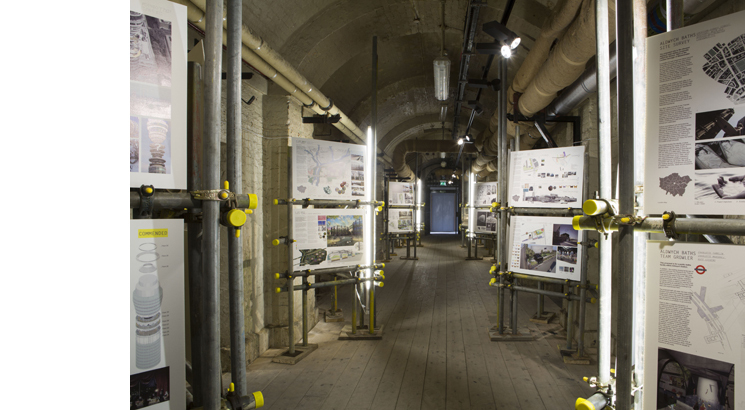 The exhibition is viewed as the enabling works for the inspiring ideas generated by the competition. 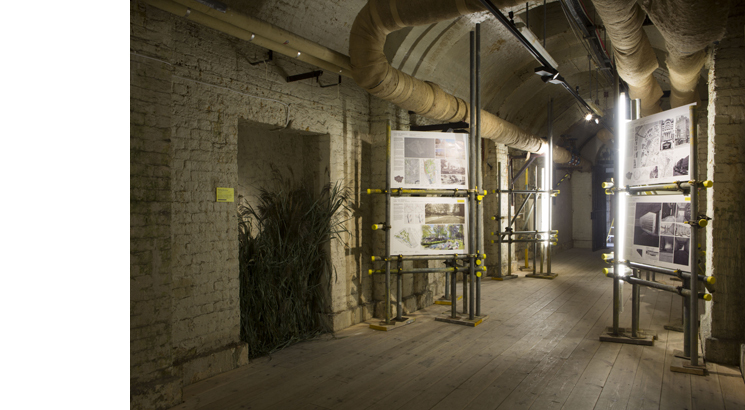 The concept of a ‘Site for Ideas’ inspired the exhibition look and feel, creating an engaging environment in which these ideas are seen by an influential audience and hopefully become a reality. 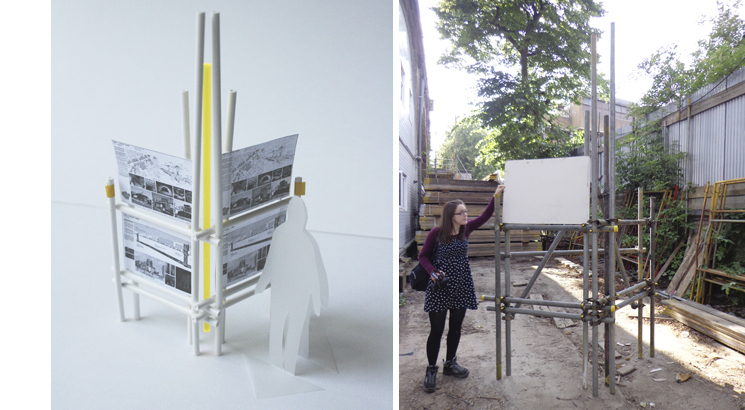 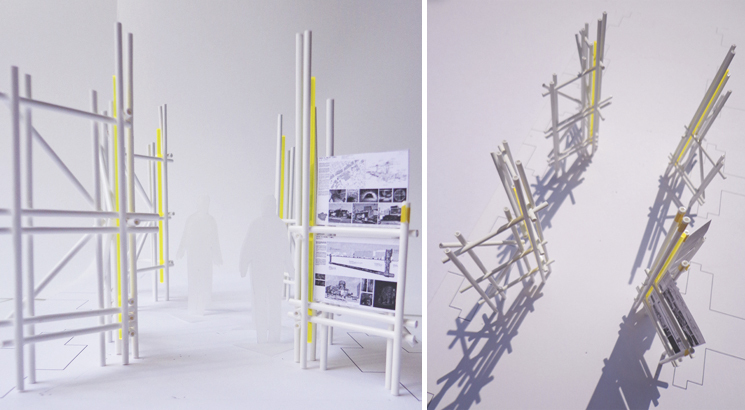 Studio Glowacka have developed a series of dynamic scaffolding structures, which bring the exhibition concept to life. 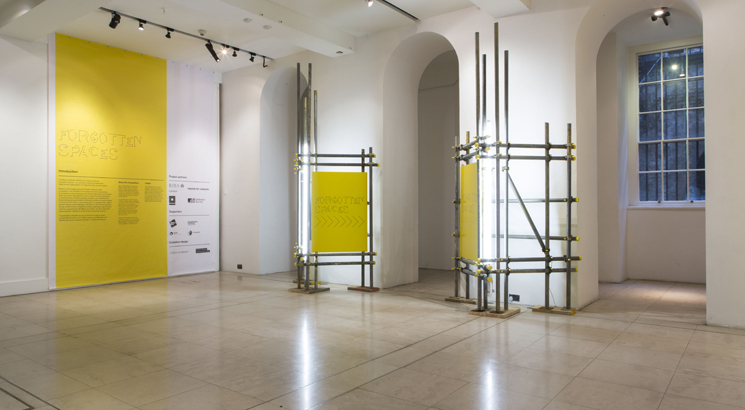 A bold graphic identity has been created in collaboration with Thomas Matthews. 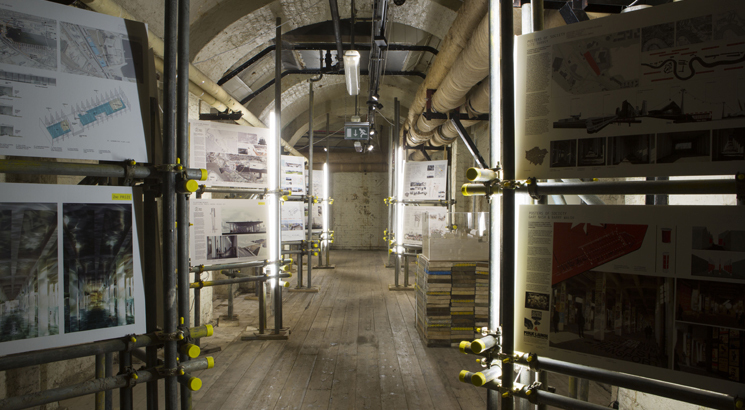 The structures and graphics are illuminated with simple tube lights to guide visitors on an immersive journey of discovery through Somerset House’s own hidden spaces. 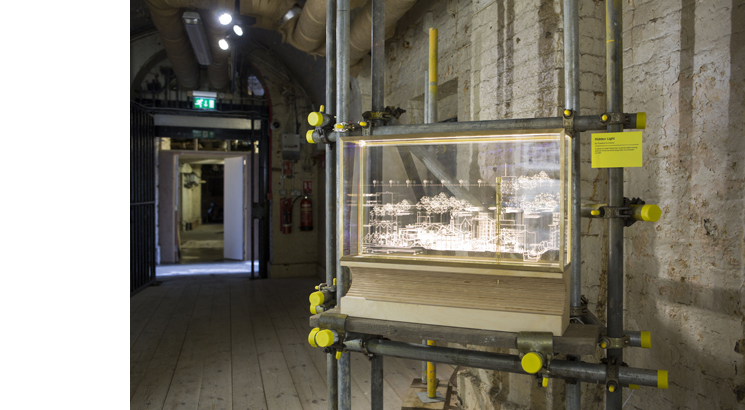 From the Great Arch Lobby, through the winding Courtyard Lightwells, to the atmospheric Deadhouse, the visitor will discover the exciting shortlisted competition entries, 1:1 installations and intriguing models. 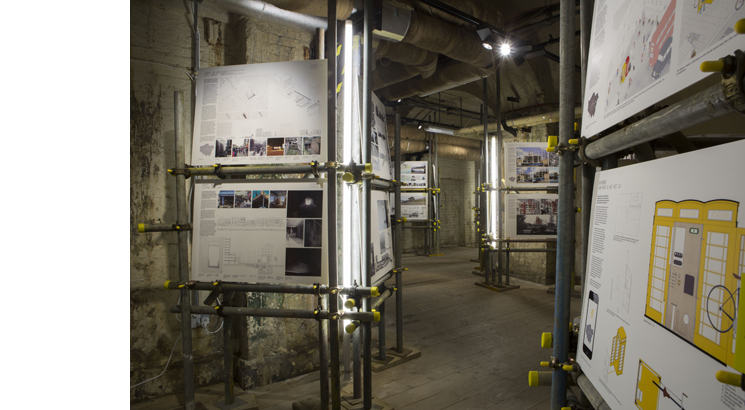 As well as reflecting the construction industry in which these proposals are rooted, the scaffolding provides an extremely sustainable material for the exhibition. 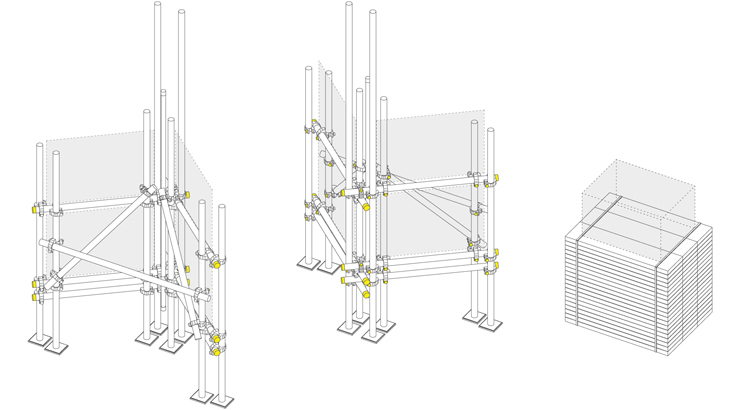 The scaffold poles and planks, all standard lengths, are borrowed from D+R Scaffolding. 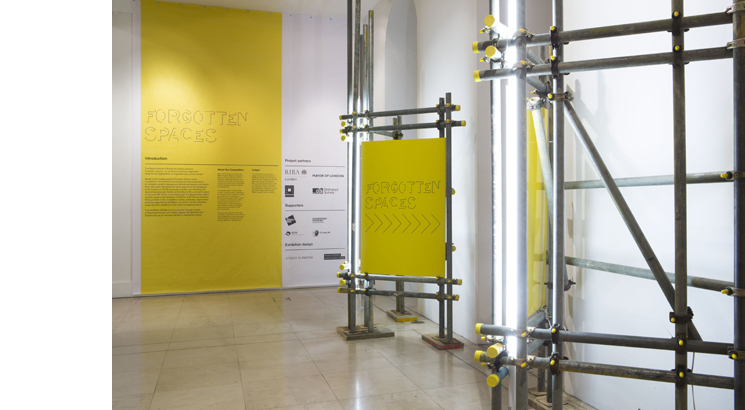 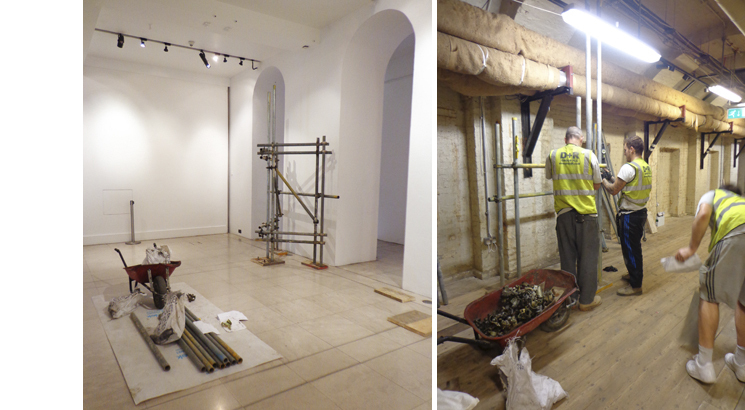 Following the exhibition run all of the scaffolding materials will be returned and reused on enabling works to continue to turn concepts into a reality.